Preferred Family Healthcare (PFH) has been awarded a $30,113.67 grant from the Missouri Housing Development Commission (MHDC) to assist in the placement of homeless individuals in housing in six counties in northeast Missouri. The grant, awarded through the Missouri Housing Innovation Program (MOHIP), will be used to fund coordinated entry services for individuals experiencing a housing crisis in Lewis, Marion, Monroe, Pike, Ralls and Shelby counties, according to Christy Power, PFH Director of Behavioral Health Care. "The comprehensive services include assessment tools which are used to determine the needs and vulnerabilities of people who are in need of housing," Power explained. "This system ensures that those with the most severe needs are prioritized. For example, a person who is experiencing a behavioral health issue, substance abuse or legal issues, has children, or is dealing with legal matters may move up on the prioritization list. The condition of the structure in which they are currently staying is also taken into consideration. "Our housing partners in the region are then able to quickly access this database when housing becomes available and can provide housing more quickly for those who have the greatest need," she added. "After an individual is entered in to the system, a case worker follows up with the client every 30 days to see if they are still in need of housing or if their situation has changed." As part of the program, PFH also assesses if there are other issues that contribute to the person's homelessness, such as medical, mental health and substance abuse. If those issues are identified, the client is connected to community resources where they can receive treatment. PFH has been offering coordinated entry services since 2016. "We know through our behavioral healthcare and substance abuse treatment programs that a big barrier to successful recovery is a lack of housing for many of our clients," said Power. "This program is a huge benefit to our community, our housing partners, and, of course, the clients we are able to assist." Community partners who are part of the coordinated entry team in these counties include: Northeast Community Action Corporation (NECAC) (co-lead), Families and Communities Together (F.A.C.T. ), Salvation Army, Northeast Independent Living Center, Douglass Community Center, Mark Twain Behavioral Health Center Emergency Room Enhancement team, Avenues Domestic Violence Shelter, and Hannibal Housing Authority. PFH has a number of other housing projects in this part of the state to help those in need. Rapid Rehoming is a new program which will begin in July, and is funded by a $117,000 grant from Housing and Urban Development (HUD). Through this program, people who are experiencing a housing crisis are able to move directly into permanent housing in the community using a combination of financial assistance and housing-focused services. This grant covers services for individuals living in in in Lewis, Marion, Monroe, Pike, Ralls and Shelby counties. Permanent Supportive Housing, offered in conjunction with HUD is a program that links safe, affordable community-based housing with community resources that can assist the resident in building independent living skills, connecting to community-based healthcare and employment services. Assistance will be provided for up to 12 months for families living in Lewis, Shelby, Marion, Monroe, Ralls and Pike counties. PFH currently provides these housing services for 18 individuals/families. A grant from the Mo Department of Mental Health and MHDC provides funding for the Shelter Plus Care (SPC) program, operated in Marion County. SPC brings together permanent housing and disability support services for people who are both homeless and disabled. The goal is to create long-term housing stability, self-sufficiency, and reintegration with the community. The program currently supports 36 families. Chloe Place is a low-income housing complex in Hannibal. Those living there must meet low-income guidelines. The complex includes 25 units, including 12 units which offer accessibility for those with a disability. Preferred Family Healthcare currently has over 4000 employees operating in five states. Substance use disorder services, mental health services, services for individuals with developmental disabilities, child welfare services, and employment services are among the varied programs provided by the organization. 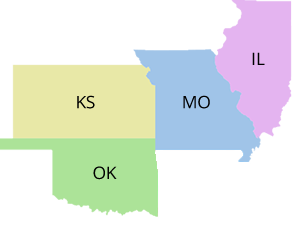 In addition, two federally qualified health centers are operated by PFH in Hannibal, Missouri and Quincy, Illinois."